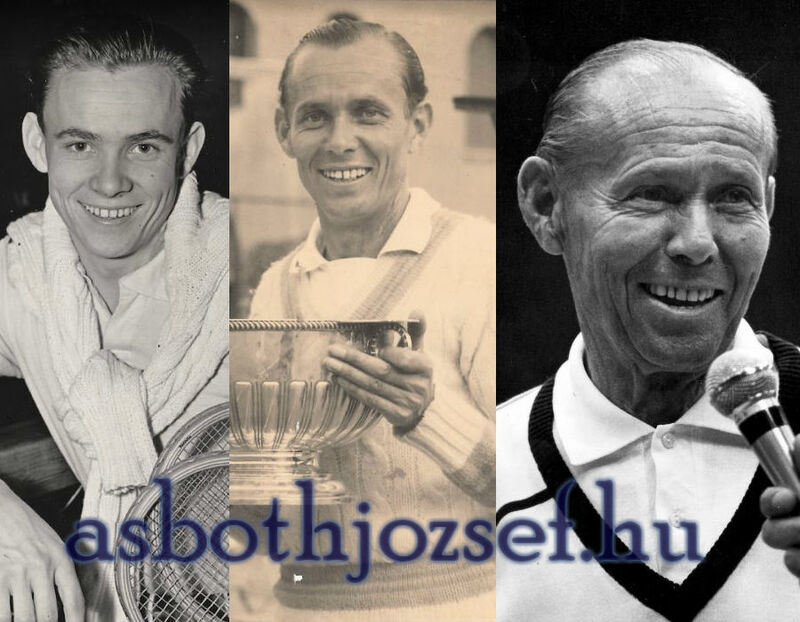 Jozsef Asboth is best remembered for being the first Hungarian tennis player and the first player from an Eastern European (then Communist) country to win a Grand Slam singles title at the 1947 French Open (where he was seeded fifth). As of today, he is still the only Hungarian male player who won a Grand Slam title in singles and the only Hungarian player who was seeded No.2 (1948). He achieved his greatest success on clay (Roland Garros, Monte-Carlo), however Harry Hopman also noted, his best surface was the grass. In 1948, 15,000 people eagerly awaited to see the “Hungarian” play in the quarterfinal of Wimbledon against Tom Brown. According to the unanimous opinion of experts, Asboth had the most beautiful playing style of the Championships that year. After his triumph over Brown, the legendary Harry Hopman patted Asboth’s shoulder and said: “Listen pal, the grass is your element”. His main strength was his legs, however both mentally and physically he could compete with any rivals, even with the best ones. Asboth’s mentor was the legendary Henri Cochet, and he followed the footsteps of his great predecessor. He always wore short-sleeved white shirt and long white pants like the Great Musketeer as well as throughout his career was characterized with the following words: devotion in fight, gracious in defeat, humble and gentle in victory. Asboth was an extremely talented tennis player, he had already showed his gifted aptitude early in his career. However, his career could not achieve its full potential due to political hindering factors (WWII and Communism). He was the pioneer and he opened the door for other players and future champions from the Eastern European countries (Drobny, Kodes, Nastase, Lendl).